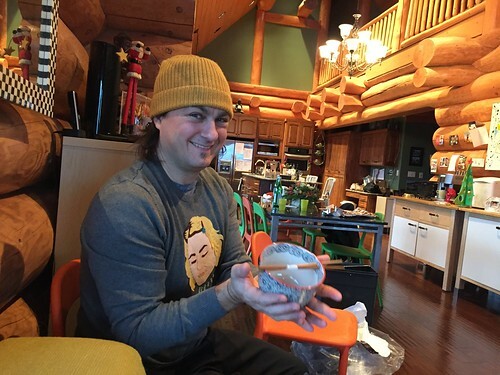 Sean and his Japanese bowl with built in chopstick holders. A thoughtful gift from Nick. Nick bought gifts for everyone with his own money.